As Christmas approaches and thoughts turn to the special gift we can give to friends and family, the catalogues selling personalised gifts nearly always included something along the lines of history of surnames or heraldry merchandise. These catalogues would have you believe that everyone with the same surnames descends from the same wealthy family or have an entitlement to the family Coat of Arms. Sadly this is all a myth that many would like to believe in, but few have the right family connections. As a case in point I have recently been approached by two potential clients who wanted me to prove the link between their family tree and a crest or wealthy family. Sadly I had to let them both down. It is therefore time to look at these myths and the reality. 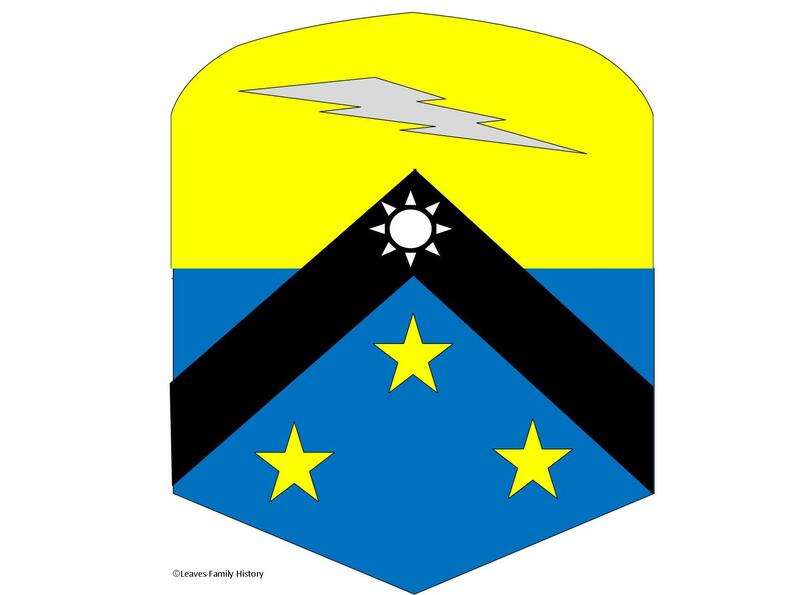 To begin with let me explain that a Crest, contrary to popular belief, is not the same as the Coat of Arms, but it is simply one small part that sits on top of helmet or helm. The image below shows a Sea Lion as the Crest. Coats of Arms have NEVER belonged to a family or name, they belong to individuals. 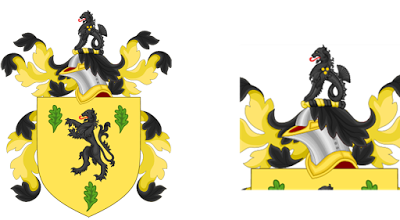 In reality people with the same surname (who are not necessarily related) can have a completely different Coat of Arms, whilst others are not entitled to any. Any company which suggests that one Coat of Arms belongs to everyone with that surname is, quite frankly, misleading you simply so you will buy it. In fact in Scotland it is illegal to display a Coat of Arms that is not yours. Not everyone was (or is even today) entitled to a Coat of Arms. The King/Queen of the England and Wales (there are different rules for Scotland and Ireland) was the only person who could grant a right to bear arms (and therefore have a Coat of Arms designed for them). This role has now been given to the College of Arms on behalf of the Crown. The right to bear arms was seen as a recognition of rank or status, and the person it was conferred upon had the status of a Gentleman or higher and the wealth that such status would require. So next time you see a personalised gift offering you your own Coat Of Arms, don’t be fooled! If you think your family may have had entitlement to a Coat of Arms in the past, contact a professional genealogy researcher or the College of Arms in London who can do the research for you. Thank you for a very clear explanation. I often wondered if these adverts were being truthful, as I could not see how any of my ancestors could have had a coat of arms.